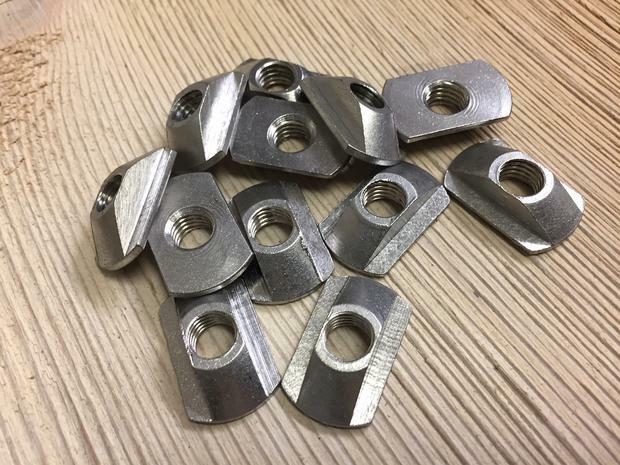 The M8 T-Nuts: Hydrofoil Mast Track Inserts are made of Stainless Steal which makes them stronger than brass T-Nut. Special attention is paid in manufacturing to prevent galling which is when the bolts seize in the inserts making them near impossible to remove. The M8 T-Nut is designed for a M8 bolt.